Dance drop off at 11am; complete science project with little one (3 weeks in! ); practice her presentation; grab a snack; help teen with hair and lashes for spring concert; get little one and me ready to go watch concert; grab dinner with family, start kids’ laundry (at 10pm!) so I can finish it before the end of Dance completion season banquet tomorrow. Finalize science project folder and practice presentation again; finish laundry; have breakfast; do my teen’s hair and lashes for second show…breathe! Look fab for banquet (with 5 hours of sleep); pick up teen to head to a banquet; arrive at a banquet, smile, put on a good attitude, and get a much-deserved mimosa! Tired yet? Sound familiar? That’s me this past weekend. Yes, motherhood can be overwhelming and exhausting but it’s also the most fulfilling experience. 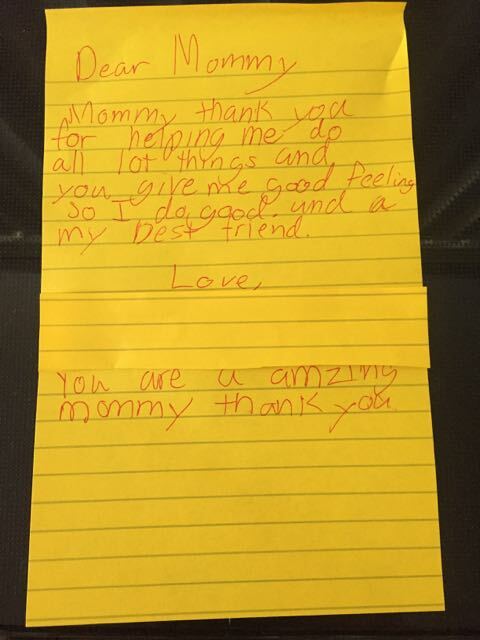 And every so often, our little ones remind us that’s it’s the best job in the world with unsolicited, tear-jerking and heartwarming gestures. It’s in these moments that we pause and remember why we dedicate every waking moment of our lives to our children. Celebrating Mother’s Day once a year is a lovely gesture and we love and appreciate it. But taking a cue from our little ones, we’re reminded that moms deserve to be honored at any time during the year for all the hats they wear and sacrifices they make for their children and families. They’re chauffeurs, chefs, referees, housekeepers, personal assistants, organizers, therapists, nurses, and much more. In a nutshell, they’re the COOs of their families who make sure everything runs smoothly. Over the past 5 years (can you believe it’s been that long!) we’ve celebrated and honored gapmuse moms with humor (who can forget our mom who sent her kids to school with empty lunch boxes! :-)), appreciation, ideas on how to take care of themselves, and more. In case you missed it, here are our best moments. Hope you enjoy our trip down memory lane. It’s back to school again (can you believe it!) and you’re busy juggling your kids’ schedules, last minute shopping, transportation, lunches, and anything else that needs to happen for a successful school year. Some of you may be sending your kids to pre-k or kindergarten, some to elementary, while others to middle school or even high school. For moms in the latter category, you’re probably starting to grapple with the idea of becoming empty nesters. Yikes! And if you have an 8th grader or high schooler, you might even be feeling like one already since he or she may have declared their independence and spends less time with you. Let’s face it, we all like to feel special, especially on days dedicated to us. Whether it’s a birthday, anniversary, Mother’s Day, Father’s Day, Valentine’s Day or any major milestone, we’re programmed to expect to do or get something to make us feel good. Everyone has a story despite their success or stature in life! Who would imagine by looking at Maya Angelou and all her accomplishments that she had been abandoned as a child by her mother, survived a near-death experience in the hands of a boyfriend or had her first and only child at 17? “If I died now, I would be happy!” These are the words my sister uttered three hours into our spa day experience this past weekend that got me thinking that surely every woman deserves this feeling at least once a year! Not only did I share the same sentiment, but also wished that the sensation would last forever. You see, three years ago, my sister and I made a commitment to dedicate one day of the year to the spa (typically Mothers Day weekend in May due to the great spa deals.) first to admit that we hardly have tons of money to throw at this kind of luxury, usually associated with celebrities and the well to do, but we feel strongly that it is important for us to recharge so we can survive the daily stresses of life! Read on. 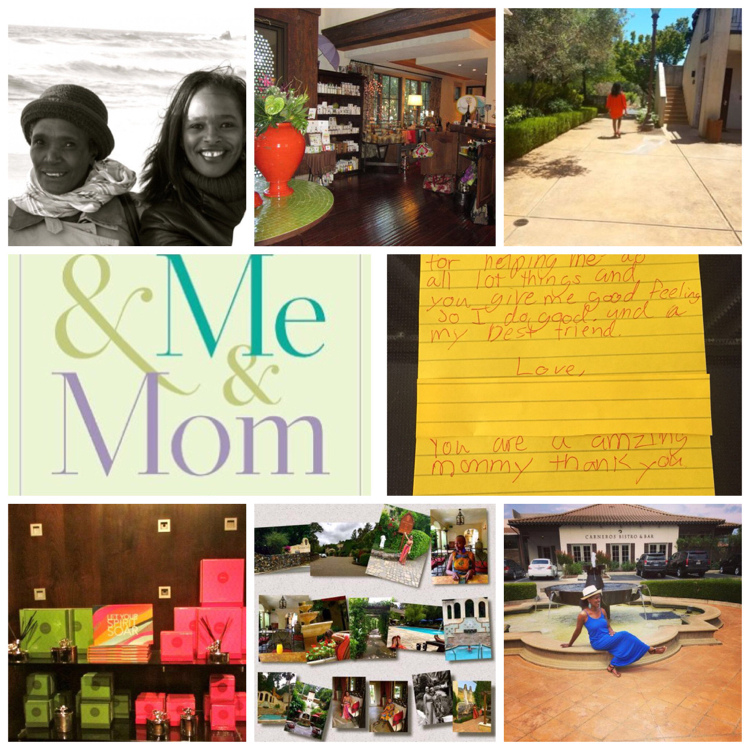 Hope it was as much fun for you taking a peek back at our Mother’s Day journey as it was for us. Happy Mother’s Day gapmuse moms!